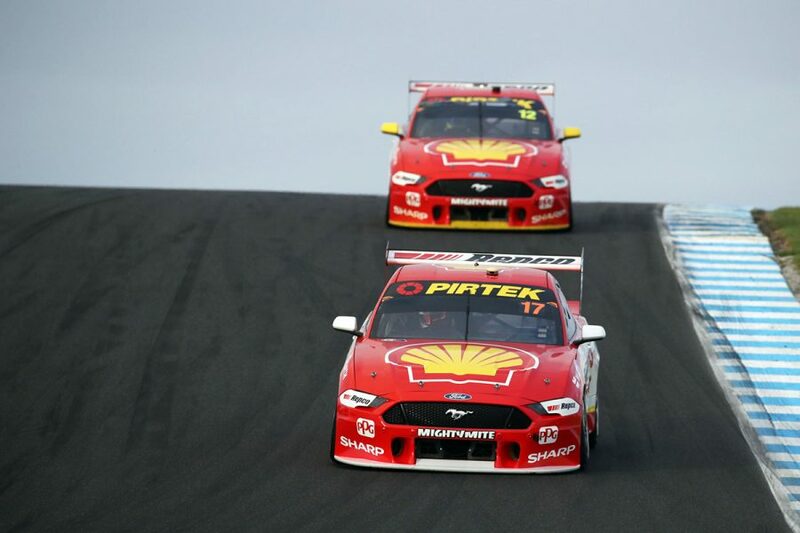 Scott McLaughlin claimed a seventh victory of the 2019 Supercars season at the WD-40 Phillip Island SuperSprint, leading home Shell V-Power Racing team-mate Fabian Coulthard. After McLaughlin claimed ARMOR ALL Pole by six tenths, the Shell Mustangs were the class of the field on Saturday afternoon. McLaughlin eventually won the 27-lap race by 1.2395 seconds, while Kelly Racing Nissan driver Andre Heimgartner took third. That is Heimgartner's maiden solo Supercars podium, while Jamie Whincup was among the drivers in the wars after shedding a wheel. McLaughlin kept the lead off the line despite a stern challenge from team-mate Coulthard through Turns 1 and 2. Behind them, Rick Kelly vaulted from sixth into third, passing a pair of Tickford Mustangs and the sister Nissan of Heimgartner. The McLaughlin-led Shell Fords pulled away at the front to be four seconds clear when the pit window opened on lap five. Facing the threat of pitlane being closed under Safety Car conditions under the trial of new regulations, pitstops followed immediately. McLaughlin and Kelly were among the stoppers that lap, followed the next time around by Coulthard and Heimgartner. It was status quo between the Shell Fords after pitting, while Heimgartner jumped Kelly and fended him off on his outlap. As the stops played out, McLaughlin built a lead of three seconds over Coulthard by lap 10. Coulthard responded and it was down to 1.3s when the Safety Car was summoned on lap 14, when Whincup's Commodore lost a wheel and stopped following his pitstop. 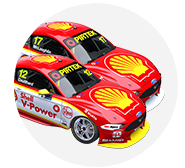 Before the race went green, stewards announced both DJR Team Penske pitstops were under investigation for a rule breach; failing to have their line-lockers engaged during their pitstops. That will be assessed post-race, but is expected to follow recent similar sanctions of teams' championship points and a fine. McLaughlin retained control of proceedings after the Safety Car, crossing the line 1.2395s ahead of Coulthard. "Unreal. 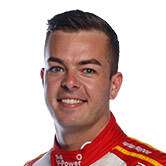 It’s great for the team, one-two," said McLaughlin. "We just sort of controlled the race from the start. It’s awesome to get a win here again, I love this place. "[The start] was awesome, we were so equal… they were exactly the same. "Into Turn 1 he didn’t want to back out and I didn’t want to back out either, but the aim of the game is not to make contact and we didn’t." McLaughlin now leads Coulthard by 136 points in the championship. The result is the fourth one-two finish for Shell V-Power Racing in nine races this year. "We tried our best at the start to go around the outside but that’s all I had," Coulthard said. "We know the rules, race hard, clean and fair and we have a lot of respect for each other." After passing Kelly through the pitstops, Heimgartner ran third through the middle phase of the race. The Safety Car cut the gap the Plus Fitness Altima had behind him, but Heimgartner was never threatened by David Reynolds on the run home. 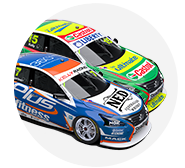 Third is a first podium for Kelly Racing amid a tough start to 2019, while Heimgartner's only other visit to the rostrum came as a Brad Jones Racing co-driver on the Gold Coast in '17. "I’m unbelievably happy for the Kelly crew," Heimgartner said. "We’ve had a rough start to the year and to have that one, it’s great to consolidate the speed. "It’s my first podium by myself and to get that is a big tick off my list. I’m just over the moon, I can’t believe it." From 12th on the grid, Reynolds got into 10th on the first lap and then held out until lap eight to pit. That brought Reynolds out amid the Kelly Racing/Tickford pack running behind the Shell Fords. 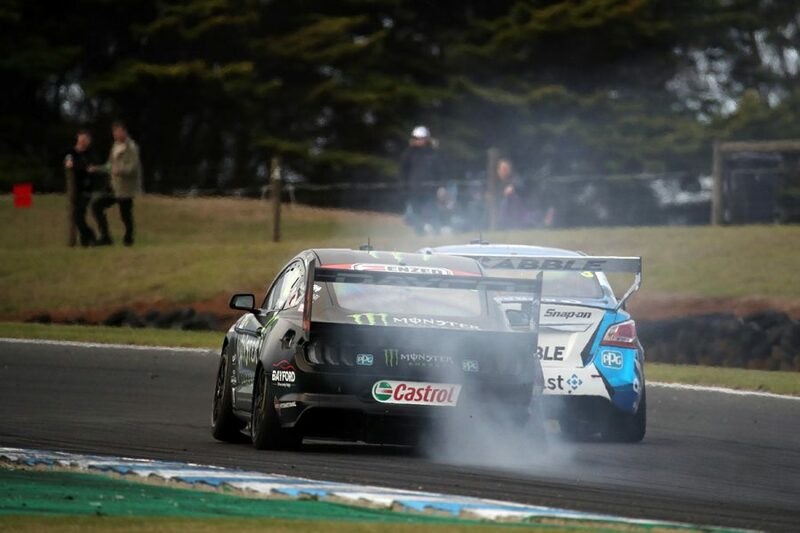 He was fourth by the time the Safety Car came out and stayed there, while Chaz Mostert finished fifth. 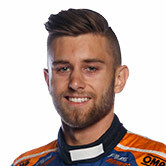 Kelly had to fight Cameron Waters after the Safety Car, and Waters' efforts to take sixth brought Shane van Gisbergen into the equation. Side-to-side contact between Waters and van Gisbergen exiting Siberia broke the right-rear suspension on Waters' Mustang, ending his race. 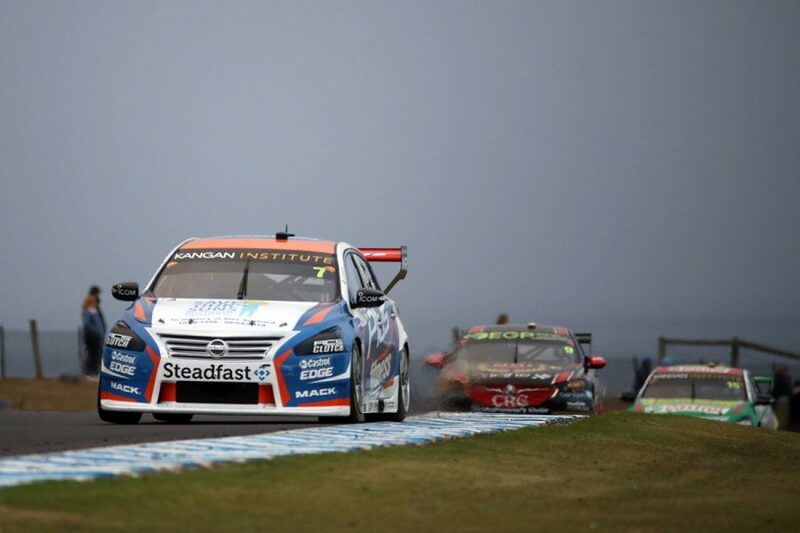 Van Gisbergen snatched sixth from Kelly, as Scott Pye, Nick Percat and Will Davison rounded out the top 10. James Courtney and Tim Slade both suffered front-right tyre failures in unison on lap 10, before making their pitstops. Slade crossed the line 17th and Courtney 22nd. 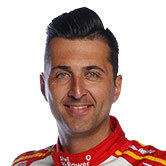 Whincup's weekend did not improve from 17th on the grid. He ran long before stopping but the car was dropped and drove off before the front-right wheelnut was fully tightened. It inevitably wobbled loose within corners and then parted company with the Commodore, Whincup parking the car on track. Mark Winterbottom also lost a wheel, a right-rear, while running well down the order, which brought IRWIN Racing's torrid day to an end. Winterbottom had already made an additional pitstop after falling to the back of the pack early with a suspected tyre problem.